British Basketball Federation chair Maurice Watkins believes Great Britain’s women should be funded for their shot at qualifying for the Tokyo Olympics. Last month, the then-UK sports minister Tracey Crouch announced a £3million Aspiration Fund for those not currently supported by the elite funding agency UK Sport. In a small but significant move away from UK Sport’s usual criteria, this money is available to those who have a chance of qualifying for the 2020 Games, as opposed to medal-winning potential. 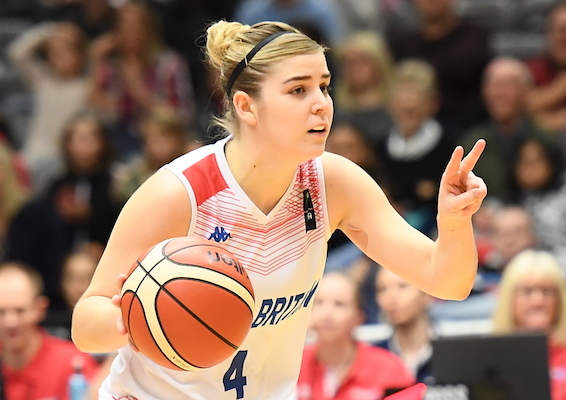 This week, the GB women’s basketball team took a step towards Tokyo, and would would be their second-ever Olympic basketball tournament, by narrowly beating Greece and then thumping Portugal to progress to next summer’s EuroBasket Women finals in Latvia and Serbia. There they will take their place among the best 16 sides in Europe, with the top six going through to the Olympic qualifying tournaments in early 2020. UK Sport announces its Aspiration Fund winners on December 7. The BBF had already applied for a maximum grant of £500,000 for team sports before those wins in Manchester but Watkins thinks EuroBasket qualification has boosted its chances. Speaking to Press Association Sport, the former Manchester United director said: “Our hopes have been significantly helped by what the women achieved this week. They got us to EuroBasket 2019 and that is a major achievement. Watkins joined the BBF this summer after his predecessor Ed Warner and several directors quit following a row about how to fund the GB teams – a saga that has run ever since UK Sport stopped funding the sport following London 2012. Although he is best known for his long association with United, Watkins was chairman at Barnsley until last year and is still chairman of British Swimming and the Rugby League European Federation, as well as being a director at Lancashire Cricket Club. But the sports lawyer has a long connection with basketball, as he was behind the decision to buy the Warrington Vikings in 1985 and rebrand them as Manchester United when the football club was trying to emulate the likes of Barcelona, Bayern Munich and Real Madrid, which compete in several sports. That experiment ended in 1988 when English football’s post-Heysel exile from Europe led to a rethink but Watkins has “kept an eye” on basketball ever since and certainly understands the vagaries of Olympic funding having seen UK Sport drop synchronised swimming and water polo. “Basketball is an important sport in terms of what it can do for the community and young people,” said Watkins. “It’s diverse and it’s one of those sports almost anyone can play. I knew the BBF wasn’t in the best of situations after losing its funding but I’m coming at this fresh and see an organisation really pulling together. “It is true there were disagreements this summer but I don’t want to dwell on the past. I’m focused on the future and I think the current partnership of our home country associations in England, Scotland and Wales is a powerful tool. “I also think we have an advantage over many Olympic sports in terms of the breadth of our appeal. But we need to get our message out there and create role models. The men’s team begin qualifying for EuroBasket 2021 with a game against Austria at the Belle Vue venue on Thursday evening.